Delivering accurate and stable weather and altitude information, the Suunto Ambit3 features full navigation as well as a durable build to keep up with your various outdoor adventures. The weather watch comes with built-in GPS, barometer, altimeter, and compass. It sports a sturdy construction and is water-resistant to 330 ft. The product received many positive reviews from customers who tried it. However, some of them encountered minor issues. One person had a hard time to turn it on because the device comes with no instruction manual whereas other users received inaccurate GPS information. Also, at least one customer found the watch a bit too complicated to use. One of the most important things when exploring an unknown area and even when you’re revisiting a place you know is to make sure you follow the right course to reach your desired destination. 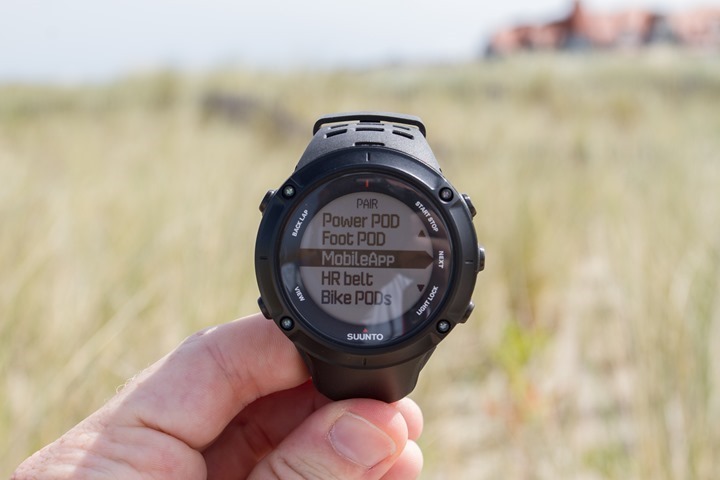 Suunto Ambit3 was designed with this feature in mind and, thus, boasts a GPS unit that will help you follow your route and let you know where you are at any given time. Ideal for sports and outdoor adventures, the watch will guide users every step of their way while providing them with the necessary information to choose the right directions. 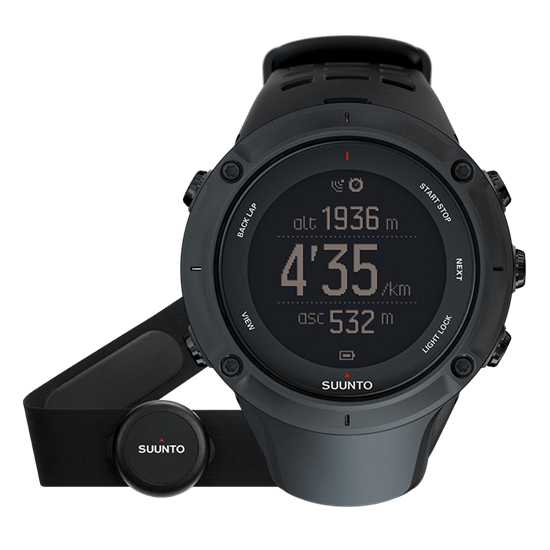 The route navigation and track back functions, the compass, and the possibility to discover new routes with heat maps on the Suunto Movescount App and site render this watch ideal for climbing, treks, and various sports. To make sure your outdoor adventure is free of any unpleasant incidents triggered by bad weather, the watch was engineered to provide users with accurate and stable weather and altitude information. This way, you will know ahead when to find shelter and wrap up your climb or trek. Such details can prove to be crucial to the success or failure of a trip. Since boosting your safety is one of the key features the watch is based on, besides displaying accurate weather forecast to protect you from unpleasant weather events, the item delivers information regarding your heart rate when practicing various sports. Because the watch features 330-ft water resistance, this function can be used even while swimming. Moreover, the watch tracks your speed, pace, and distance providing activity-based recovery time as well. It comes with bike power support; therefore, it can be used while enjoying different sports activities. One of the most appreciated specs that this watch boasts is the extended battery life. Promising to ensure 200 hours of use with 1-minute accuracy and 30 hours with 5 sec-GPS accuracy, the item is committed to making sure you’re covered even when engaging in long treks or swimming and running sessions. The gadget was designed to keep you connected even when you can’t check your phone. With regard to this aspect, the engineers behind the product developed features that allow you to see incoming texts, calls, and push notifications. Plus, you can even create a movie with key metrics, 3D map, and images, upload and share your route and progress right away with the Movescount app.